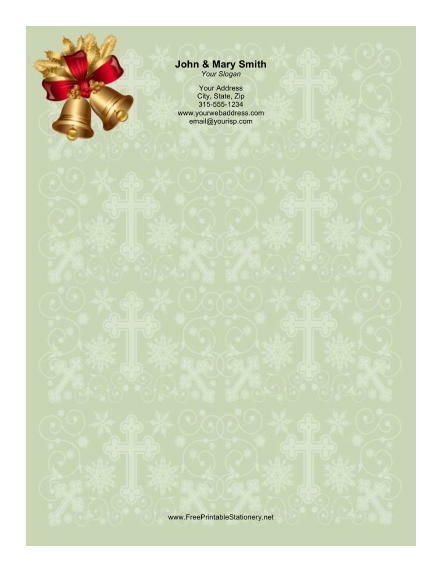 This Christmas stationery design has a pair of holiday bells with a colorful bow on a background of traditional crosses. The pale green background also includes snowflakes and swirling abstract lines. When you need a traditional but enchanting holiday paper, this stationery is a great choice.